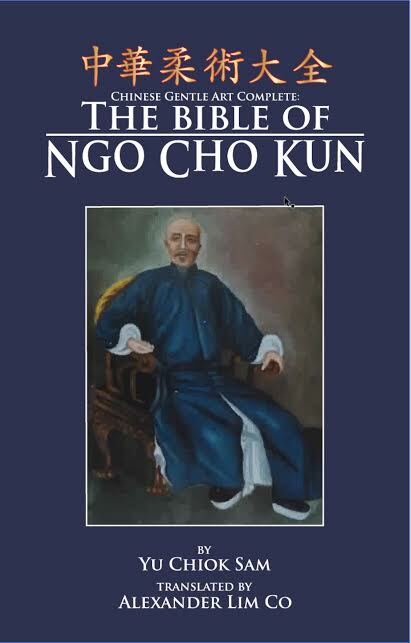 The Chinese Gentle Art Complete: The Bible of Ngo Cho Kun. Translated by Alexander Lim Co. Tambuli Media, 2014. -Cai Yangwu, a slogan of the Jingwu (Pure Martial) Association. It may seem odd or inauthentic to label a manual as “the Bible” of a given martial arts style. Certain students have taken issue with McCarthy’s use of the term in his translation of the Bubishi (often referred to as the “Bible of Karate.”) Beyond obscuring a complex textual tradition with cliché, such an idiom seems too closely linked with western popular culture. While certain Chinese masters may have published manuals, these are largely seen as peripheral to the actual teaching and comprehension of their styles. That remains a stubbornly oral and embodied process. Everyone knows that “you cannot learn Kung Fu from a book.” The idea of a martial arts “Bible,” while romantically harkening back to stories of secret techniques, wandering monks and lost manuscripts, seems overdone. Yet this is exactly how Yeng Tzi Wan described Yu Chiok Sam’s 1917 Five Ancestors Fist manual (“The Chinese Gentle Art Complete”) in his preface to the work (page XVII). His description is quite apt. This book appeared at a time when the future of the Chinese martial arts was a subject of public debate. Many May 4th reformers saw little value in the continuation of traditions as feudal and superstitious as the traditional Chinese martial arts. They looked to “scientific” western sports, gymnastics and physical training programs as the key to strengthening the Chinese people. Reformers within the traditional martial arts community took issue with this claim. But even they were forced to concede that these fighting systems would need to evolve if they wished to find a place in China’s newly emerging social order. Some saw books and publishing as the key to success. The martial arts could only be saved as quickly as they could be purified, recorded, and their techniques openly published for the consumption of a new type of urban middleclass student. Given this ongoing (and at times quite heated) public discourse, it is not surprising that Yu Choik Sam’s manual seems to be so conscious of its own textuality. The work’s very existence as a physical object was meant to be a powerful sign of the system’s cultural value and modern outlook. Prior to the Republic period very few books had been published that dealt exclusively with the practice of traditional boxing. After the opening years of the 1920s such manuals became commonplace. The call had gone out to the martial arts community. Books were to be the way. They demonstrated in solid, undeniable terms, that the martial arts could escape the taint of their largely illiterate, rural and secretive past. 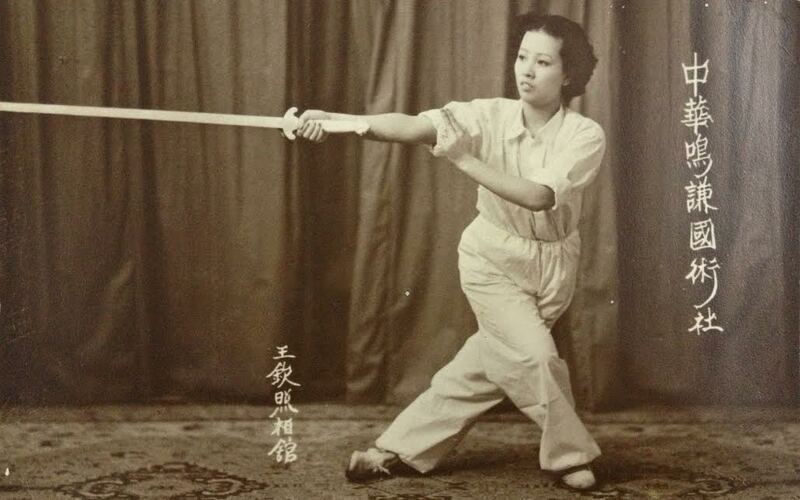 It is no coincidence that the 1920-1930s was the first golden age of the publishing within the modern Chinese martial arts community. In many ways this burst of media creativity has continued to shape our practice of these fighting systems to the present day. The following post reviews Alexander Lim Co, Russ L. Smith and Mark V. Wiley’s (ed.) new bilingual translation of Yu Chiok Sam’s classic manual, the Chinese Gentle Art: The Bible of Ngo Cho Kun (Tambuli Media, 2014). I had been meaning to take a look at this book since it came out last year, and when the publisher offered to send me a review copy I jumped at the chance. While I have never studied this particular system (which remains popular in Fujian, Taiwan and South East Asia) I was nevertheless very interested in the text. After all, there simply are not that many examples of Republic era martial arts manuals that deal explicitly with the arts of Fujian and Guangdong. This is not to the say that the area has not produced important literature of its own. It certainly has. Lam Sai Wing’s works on Hung Gar is an obvious example. A century earlier Guangdong and Fujian also produced a number of hand written “Cotton Boxing” manuals, as well as the previously noted manuscript collection now referred to as the Bubishi. Still, compared to the more numerous publications dealing with the internal and northern Shaolin styles, the martial arts of the south seem to be somewhat underrepresented in the existing literature. The following discussion proceeds in two sections. In the first I offer a brief review of Tambuli Media’s recent republication of this manual. Following that I would like to go back and take a more detailed look at the process by which this book has come down to us and what it reveals to us about the public discussion of the TCMA in the first two decades of the twentieth century. In many ways the history of this text mirrors that of the southern martial arts as a whole, and it offers researchers some intriguing clues as to how local martial arts communities in the south perceived and responded to critical trends within the national discussion on the fate of these fighting systems. Yu’s somewhat early efforts to create a “Bible” of Ngo Cho Kun (as well as the prefaces that framed it and the format in which this project was presented) undercuts the usual narrative of backwards and inward-looking local martial arts in the south versus “progressive” and nationally focused movements in places like Shanghai, Beijing and Nanjing. 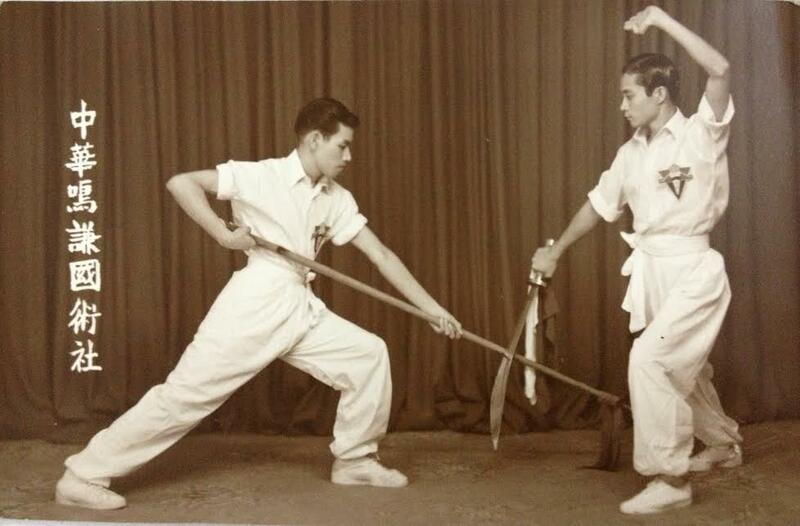 Beng Kiam students demonstrating paired weapons form, 1960s. Copyright Tambuli Media. Any student of the Five Ancestor’s system will be pleased to add this volume to their library. For those unfamiliar with the system a few words of introduction may be in order. Ngo Cho Kun was first created (or compiled from a variety of existing local traditions) by Chua Giok Ban (1853 – 1910) sometime in the late 19th century. The public mentions of this system begin to appear in the 1890s. However, comprehensive published statements on the art would have to wait until the Republic era. Yu Chiok Sam was a student of Chua Giok Bang. He was also a member of a core group of disciples known as the “10 Tigers of Ngo Cho Kun.” Like his teacher he had come from a relatively privileged background and had studied both literature and traditional martial disciplines such as archery and horsemanship before specializing in Kung Fu. Yu also taught the martial arts in local elementary and middle schools later in life, and this educational experience shaped how he would approach the compilation and presentation of his manual. At some time prior to 1910 (the year at Chua died) Yu began to write a book which attempted to systematize Ngo Cho Kun while also drawing on various resources that he had collected over the years. We know that Chua was aware of this process and oversaw elements of the project. Tan Kiong Beng, another of Chua’s students (and also another member of the “10 Tigers”) was also present when the project was being discussed and worked on. For reasons that are not entirely clearly (beyond his own reticence) Yu delayed publication of the book for a number of years. Ultimately it was sent to the printers in 1917, a year in which intellectuals around China were debating both renewed fears of imperialism and the proper place of the martial arts in the nation’s physical culture. At this point Yu was serving as the martial arts instructor for the Quanzhou Middle School and the Peishi Higher Elementary School. After reviewing the project with officers from the Department of Education he released his book with a special eye towards its use in school programs at the elementary, middle and high school level as well as within athletic associations. This was an era that heard growing calls to add martial arts instruction to the nation’s educational curriculum. In that sense this manual (or more specifically the way it was framed and introduced) fits nicely into some of the more prominent trends of the era. Yu anticipated that two additional works would follow his initial manual. The first would be a special text written specifically for instructors. The other book would focus on traditional medicine. Neither of these other works was ever published. Yu divided his manual into five internal sections or “books” (the parallel with the Pentateuch is obvious and may have helped to generate the biblical comparison noted above). The first of these introduces basic techniques, steps and postures with “accompanying command drills to facilitate large group practice.” Obviously such instructional methods were quite different from how the martial arts had traditionally been taught in most lineages during the 19th century. But by 1917 groups such as the Jingwu Association had already been successful in promoting such exercises as a way to manage larger classes and ease the introduction of the martial arts into high schools and middle schools curriculums. The third volume provided an overview of 38 forms within the Five Ancestors system. These were envisioned as ideally suited for high school and military students. Yu’s introductory description of his own work also claims that Chapter 1 was to be accompanied by 99 pictures to assist with the students study. Unfortunately they never made it into the final printed volume, though the missing images are referenced throughout the text itself. Nor was this the only difficulty with the production and printing of the book. Relatively few copies of the book were produced and it ended up becoming a rare collector’s item (jealously guarded by the fortunate few) rather than the sort of freely available text that could actually take the practice of Ngo Cho Kun to the masses. Other factors also counted against the texts accessibility. It was written in an older variant of the Hokkien dialect rather than standard Mandarin. With the natural passage of time even local residents found the text increasingly difficult to understand. Still, Five Ancestors has had the benefit of a healthy following in Fujian, Taiwan and parts of South East Asia. The opening of a “Southern Shaolin Temple” in Quanzhou (which practices Ngo Cho Kun) has also helped to create additional interest in the art. In 2008 Lions Press in Taiwan reprinted a faithful copy of Yu’s book, making it widely accessible to Chinese language speakers for the first time in many decades. Still, lacking the intended illustrations or additional description the text was only useful to those who were already well versed in the system. English language speakers who would like to learn more about this system now have another resource at their disposal. Working with an original copy of Yu’s 1917 book Alexander Lim Co, with the help of Mark V. Wiley and Russ Smith have produced their own bilingual English/Chinese language translation of this important manual. Non-specialists will find their work to be especially helpful on many counts. The translators have reviewed the text and generously added photographs to replace not just the missing 99 images originally intended by Yu, but hundreds of others as well. This alone makes their work an invaluable guide either for students of the system in need of a basic reference work, or outsiders (such as myself) attempting to get a basic feel for its practice. The translators also attempted to clear up some other points of confusion that may have arisen when the work was first printed in 1917. This included rearranging numbered sections of text that had initially appeared out of order and adding the full names of forms and techniques which the 1917 volume had referred to only in shorthand. Lastly the editors of this work have annotated the original text with discussions of their own, always clearly marked and set off from the original text. These notes occasionally take the form of introductory remarks at the start of a new book or chapter. Some review textual issues that arose in organizing the material. In other cases they highlight historical and symbolic aspects of the text that students should be aware of. Occasionally they offer advice for practitioners looking to use the work as a training manual. While helpful, these remarks are never overbearing and Yu’s text is always allowed to speak to the reader on its own terms. Co, Smith and Wiley’s efforts certainly paid off. Those who study this area will already know that many early martial arts manuals are difficult for anyone except dedicated specialists to work with. Often readers are confronted with little more than lists of technical names (either of postures or forms). Indeed, one suspects that the main body of Yu’s original work, when shorn of its illustrations and explanatory notes, would have been challenging to interpret. In contrast their edition is very easy to navigate. It has been structured in such a way as to reveal Yu’s text rather than obscure it. The photographs that they provided are for the most part clear and generous. As always, I doubt that it would really be possible to teach yourself a complex system from a work such as this. Yet with my own background in a different southern kung fu style I felt that I could usually get a pretty solid feel for what the text was describing. Given that we are discussing a manual from 1917, and many of the early Republic era texts tended to be somewhat obscure, this was a pleasant surprise. The production values that went into this book (a few stray typos not withstanding) were general quite good. The pages are bright and large, which is always of great help to students wishing to use a book as a technical manual. In addition to the extensive original prefaces published in 1917, the translators and editors have added their own front material. This is very helpful for anyone trying to get a better sense of the textual tradition behind this volume and the more modern development of Ngo Cho Kun. Any student interested in this style, or the development of the southern martial arts more generally, will want to have a copy of this manual on their bookshelf. Beng Kiam student, 1960s. Copyright: Tambuli Media. For students who are primarily interested in the history and sociology of these fighting systems (rather than their practice) the more pressing question is how we should situate this work within our understanding of the Republic era martial arts. What new light, if any, does it shed on our understanding of this era, particularly in and around Quanzhou? Yu’s text is important as it may have something to contribute to this conversation. The first thing to note about the “Chinese Gentle Art Complete” is its date of publication. The author was working on elements of this book as far back as the first decade of the 20th century. Yet the manuscript itself did not see the light of day of until 1917. In terms of its general characteristics, the “Chinese Gentle Art” clearly falls within the category of “Republic Era Printed Manuals” described by Kennedy and Guo in their survey of the subject. Still, we should note that it is one of our earlier examples of the genera. To put its appearance into perspective we might want to note the dating of some other contemporary texts. Douglas Wile notes that the collection now called the “Taiji Classics” was first published and made publicly available in Beijing in the year 1912. The pioneering martial artist and writer Sun Lu Tang published his first work, a “Study of Xing Yi Quan” in 1915. This is sometimes considered to be the first of the new pattern of Republic period martial arts manuals and it certainly helped to set the basic expectations for subsequent authors. His “Study of Eight Trigrams Boxing” (another early work) was released in 1918. At this time important developments were emerging in other areas as well. The Jingwu Association was taking its first steps towards reinventing itself as a truly national movement. In 1916 authors associated with the organization began to write articles promoting the traditional martial arts in various magazines designed to appeal to both urban students and a broader national readership. In 1917 Chen Shichao went further by creating the women’s section of the organization in an attempt to expand its appeal even further. In fact, when attempting to understand the tone set by Yu in his introductory remarks, it may be useful to compare them to the newly emerging Jingwu movement. Andrew Morris has identified a number of key characteristics that were critical to the group’s growing appeal and ultimate success. First, it attempted to harmonize its message (as much as possible) with the “New Culture” movement by appealing to modern science and rationalism. Second, it strongly promoted literacy and openness within the martial arts as being the key to its survival. Third, it was compatible with the forces of rising urban commercialism, seen both in its open athletic associations and role that it played in the public education system. Fourth, students were attracted to the ease with which it referenced western trends in physical instruction and sports. To these I would add its self-proclaimed mission to promote national strengthening, as well as its strong association with a progressive view of women’s rights. For students of martial arts studies the most interesting material in any manual is often found in its front matter and introductory chapters. Here the author typically provides his own preface to the work, and invites a number of other individuals (either local notables or important students) to contribute statements of their own. In addition to bestowing a sense of legitimacy, these short prefaces also introduce the work and frame its arguments for the reader by referencing contemporary events. Given that these introductory notes were explicitly intended to function as framing exercises, they tend to reveal a great deal of information as to how the martial arts were being discussed and the ways in which readers would likely situate them within larger literary and cultural trends. It is always worth the effort to really study these prefaces. Those included at the start of the “Chinese Gentle Art” are no exception. While the current review is not the place for detailed study, a few notes of interest immediately stand out. The first of these prefaces, by Yu Hong Piao, begins with an explicit discussion of the sorts of sports training seen in other nations, China’s own complex relationship with martial arts instruction, the role of hand to hand fighting in the Russo-Japanese war, and lastly the need to publish books on the martial arts. In only a single paragraph he manages to hit many of the same points that the Jingwu Association will promote in the coming years. The second preface, by Yang Tah Siong, discusses the place of the martial arts on a modern battlefield dominated by rockets and submarines before going on to give a testimonial of the author’s background in the martial arts (also a critical function seen in many prefaces). The third preface is by Yu Chiok Sam, the author of the work. It starts with a brief discussion of the art and his teacher, Chua Giok Beng. It then moves on to the need for such a manual and why it should be written and arranged in a way similar to modern gymnastics methods. The final section of his prefaces focuses on the role of his art in elementary and middle school instruction, as well as his relationship with the Education Department and their support of the project. The next two prefaces (by Lee Long and Yu Lian Ho) focus primarily on the historical background of the Chinese martial arts and the author’s qualifications. However it is interesting to note that Lee also addresses the role of the martial arts in recent battles with the Japanese. These prefaces, taken in conjunction with Yu’s introductory chapter to book one, paint a remarkable picture of how this art was being discussed and presented to readers in 1917. Some of the prefaces made direct and explicit appeals to the “National Essence” movement which was critical to Jingwu’s later defense of the martial arts. All of them pointed to national motives for promoting the martial arts at this point in time, both as a way of strengthening the body and spirit, and ensuring national defense. A number of the prefaces compared the martial arts to western forms of physical culture or gymnastics practice. The author of the text was also quite explicit about his intention to promote his art within the modern educational sector. And everyone agreed on the central importance of literacy to the preservation and promotion of the Chinese fighting art. While specific vocabulary and degrees of emphasis very, of the Jingwu’s movement six defining traits identified above, only one is totally missing from these prefaces. That is the special emphasis on female education. Of course if one really is planning on promoting Ngo Cho Kun in the province’s elementary and middle schools, the system would have to be expected to accommodate female students. Still, it does not appear to have been a point of special emphasis as it would become within the Jingwu movement after 1917. Given that Jingwu was only beginning to publish its own articles as this volume was going to the printer, it is not clear how much of a direct effect it could have had on Yu’s thinking. Still, it may be useful to consider this work as an early example of the sort of thing that was circulating in the “Jingwu era.” Both the parallels and contrasts are sure to be interesting, and it may serve as a useful example of the trends that were already underway within local martial arts organizations across the country before Jingwu burst onto the national scene. Readers looking to situate this text within the development of the Republic Era martial arts will also want to compare it to “The Illustrated Handbook of Tantui” by He Guangxian and Hu Jian, also published in 1917 (Shanghai). Again, readers will find some of the most intriguing parallels in the prefaces and front matter of the two volumes. The initial preface of this work, by Ling Rongqi, also starts out with an explicit discussion of international events, specially the Russo-Japanese war (a topic of considerable interest to the authors of Yu’s prefaces). Ling goes on to explicitly discuss the use of “Jujitsu” by the Japanese troops against the Russians, a word with interesting resonances with the “gentle art” construction favored by Yu. He then goes on to indignantly claim that the Japanese had in fact stole this practice from the Chinese. Other trends of note are also apparent in his preface. Ling also frames the Tantui manual as a teaching aid to help pupils in the local educational system. In this case the exercise seems to be more focused on older students at the Jiangsu Education Association’s Physical Education Institute, rather than the much younger pupils envisioned by Yu. The second preface to this manual provides the mandatory historical overview that is often found at the start of such a work. It also includes a direct reference to China as the “Sick Man of Asia” mantra. Readers should note that the first preface of Yu’s volume also begins with a more oblique reference to the same critique. Needless to say, both authors share a firm belief that the traditional martial arts can cure this national ill. While different arts, the discussions that frame these two contemporaneous manuals illustrates a common approach to understanding the place of the traditional fighting systems within China’s evolving social landscape. While the message and marketing of the Jingwu movement was genuinely innovative, it still emerged out of (and appropriated) a preexisting cultural discourse. These two early manuals shed some light on exactly what sorts of discussions were already happening in locations like Quanzhou and Shanghai. 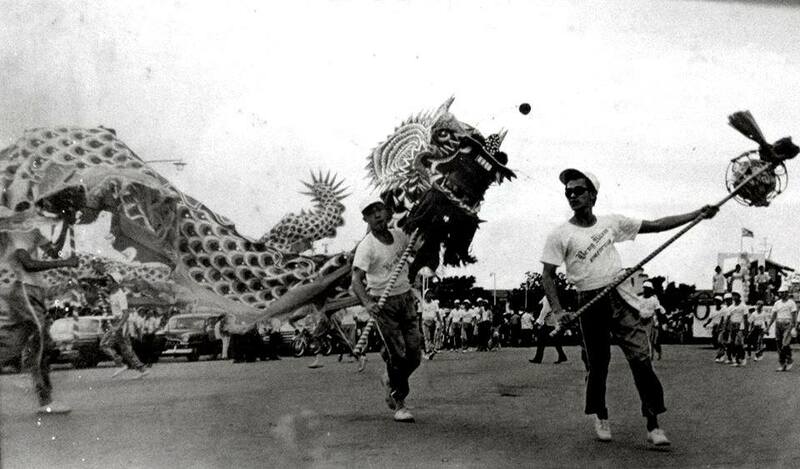 A Dragon Dance performed by the Ben Kiam Athletic Association in Manila, Philippines, sometime during the 1950s. Copyright Tambuli Media. The textual history of Yu’s “Chinese Gentle Art Complete” mirrors the evolution of the martial arts within the early Republic period. Rather than an isolated or parochial practice, here we see a quintessentially southern system actively engaging with many of the themes that dominated public debates for much of the 1920s and 1930s. Yet the story of this text does not end with its publication as a manual for the area’s public school students in 1917. While early reformers may have valued literacy and openness, this was not the only discourse circulating in the marketplace of ideas. Older stories of lost manuals and mysterious abilities continued to sell quite well in cap-books, wuxia novels and later kung fu films. No element of the martial arts is more pronounced within the public imagination than secrecy. After all, secrets are a source of hidden power and a popular element of all sorts of wish fulfillment fantasies. In more concrete terms they were also an aspect of daily competition between the lineage associations, political groups and businesses that dominated southern China’s fractured social landscape. Perhaps we should not be surprised that what started off as an example of progressive tendencies within the martial arts was eventually coopted by this much older and better established discourse. For reasons that remain unclear to me, Yu’s manual does not appear to have achieved great circulation. Eventually the same book that was intended for open use by students became the treasured possession of instructors and clan leaders within the Ngo Cho Kun system. Kept private, the surviving copies of this manual began to function as a source of esoteric understanding and a sign of legitimacy. Of course this is a very familiar story. As Kennedy and Guo have discussed elsewhere, prior to the Republic period printed works on traditional hand combat were much rarer. Those manuals that did exist tended to be handwritten manuscripts. These books were jealously guarded by lineage leaders and instructors as much for their symbolic as their practical value. As Kennedy observes, it is no accident that so many kung fu stories begin with intrigue surrounding a lost or stolen manual. The carefully guarded nature of the surviving copies of this text outlined by its translators in their own prefaces to the 2014 edition indicate that (Yu’s intentions notwithstanding) this much more traditional vision of the function of books within the martial arts won the day. A work that had once been intended for mass consumption within public school classrooms was transformed into an esoteric text, reserved only for treasured students and the fortunate few. Then, due to recent events in both the global and domestic marketplace, one particular group chose to translate and republish their copy. This has vastly expanded the number and type of students that will have access to this once public, then carefully guarded, tradition. Of course this new translation is intended primarily for the sorts of western students who choose to study Kung Fu, rather than Chinese elementary and middle school pupils who are assigned to do so. I must admit that I find the more recent history of his textual tradition to be every bit as interesting as its original composition. This story helps to illustrate a number of critical points. First, the reforms of the Jingwu and later Guoshu ideologies (while important) were ultimately limited in their scope and duration. An exclusive focus on these groups risks ignoring the vast network of folk martial arts masters which tended to be more successful in actually penetrating local society. In many times and places it was these other tendencies that carried the day. Further, our once and future debate about the imminent death of Kung Fu (a conversation that has been ongoing since about 1900) often misses the remarkable flexibility that these social institutions exhibit. At multiple points in the past they have literally reinventing themselves to meet market conditions and the expectations of their students. I am fairly certain that they may yet do so again. This is not to say that these arts have no grounding in “traditional” practices and concepts. Yet like all aspects of culture these elements are never static in their actual application. Nor do they determine what a given art “must be.” Instead they are better understood as tools that can be debated, applied or reworked as circumstances change. The evolving function and social meaning of Yu’s manual in at least three different eras of martial arts history is a powerful reminder of the social dynamism and flexibility to be found in these systems. 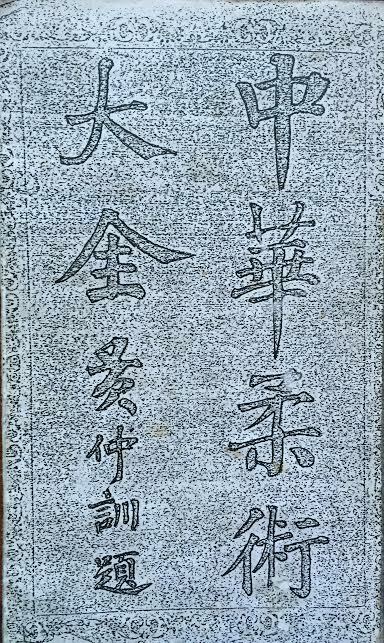 The cover of Yu Choik Sam’s original edition, published in 1917.